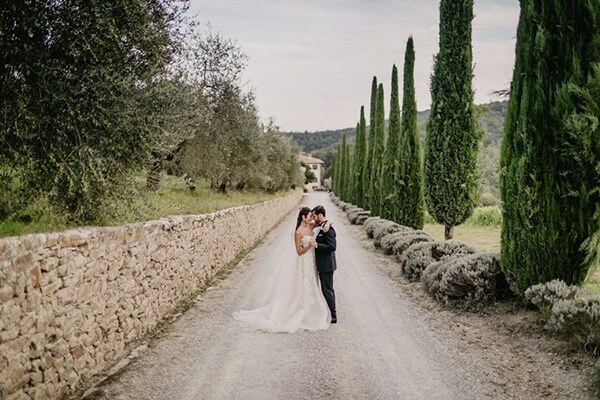 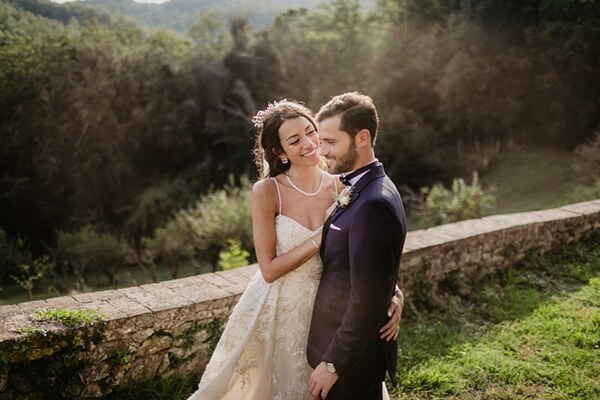 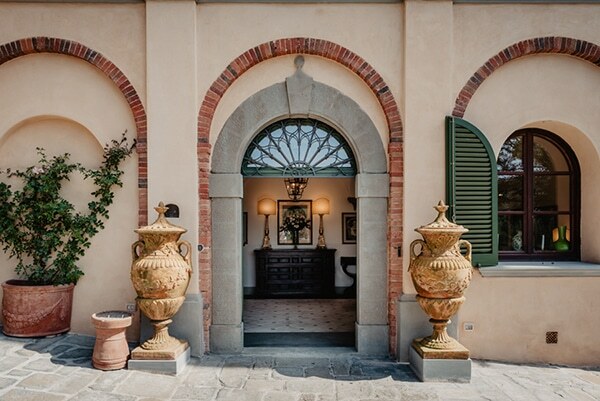 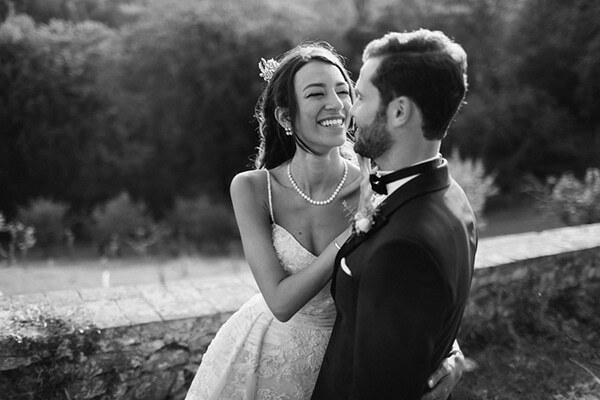 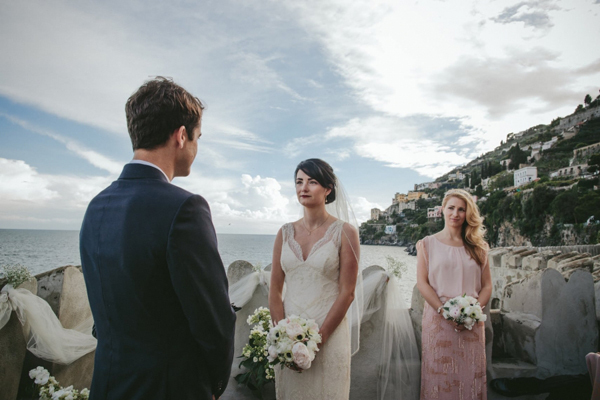 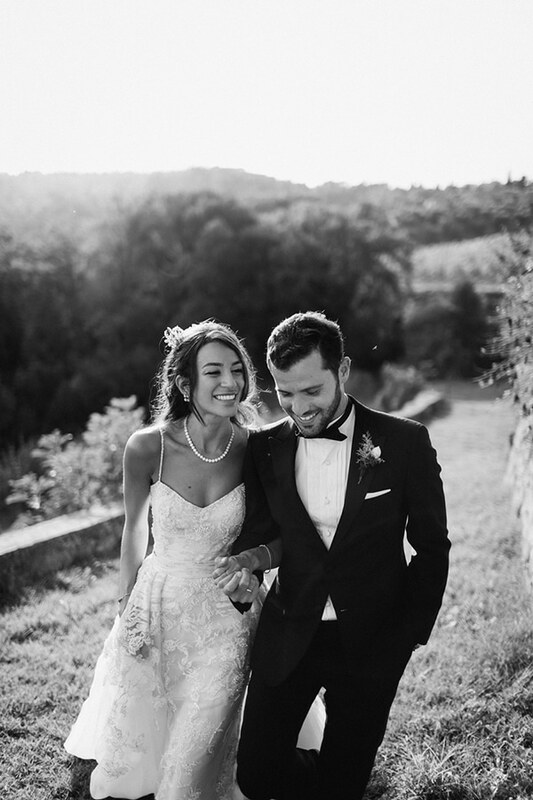 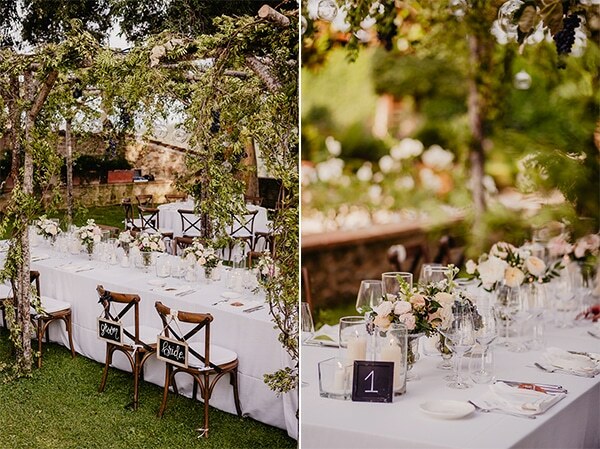 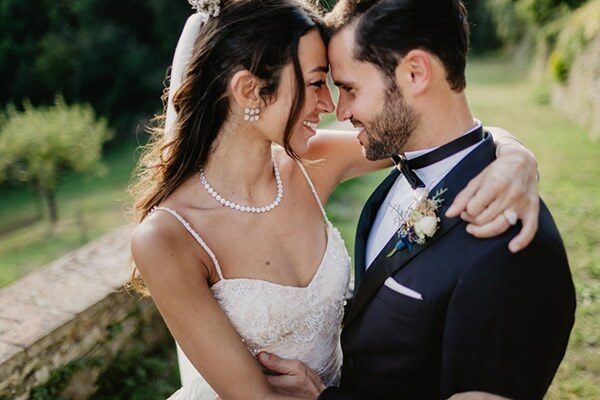 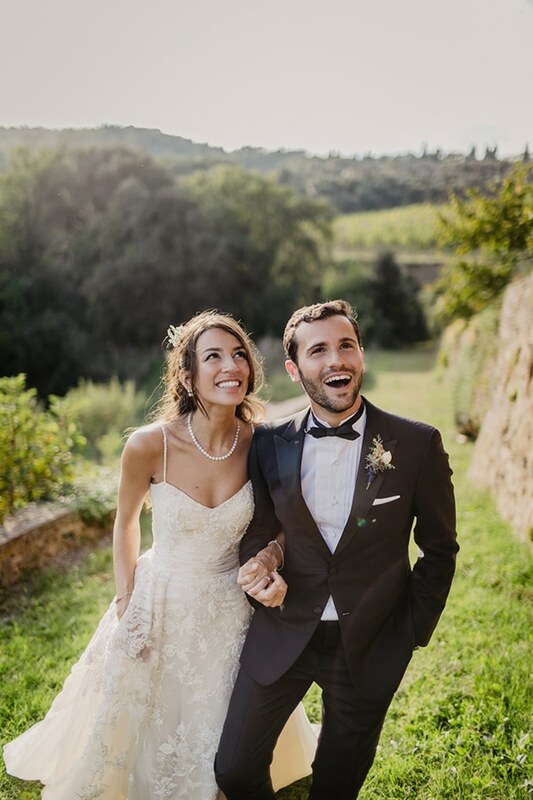 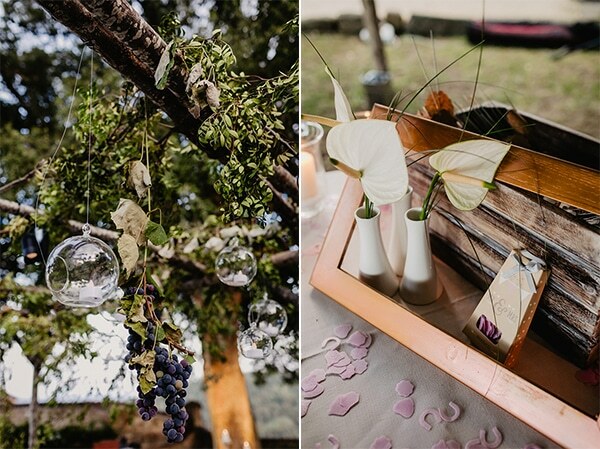 Today we are travelling in an idyllic location in Tuscany where held a beautiful autumn wedding! 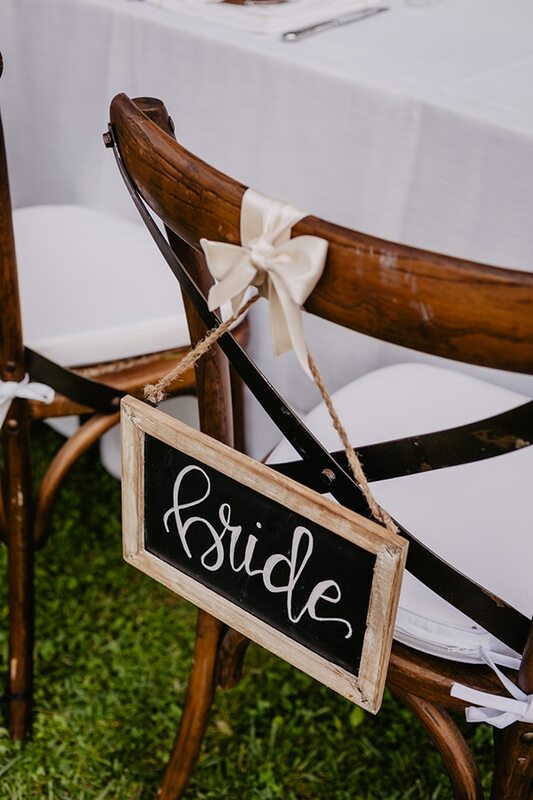 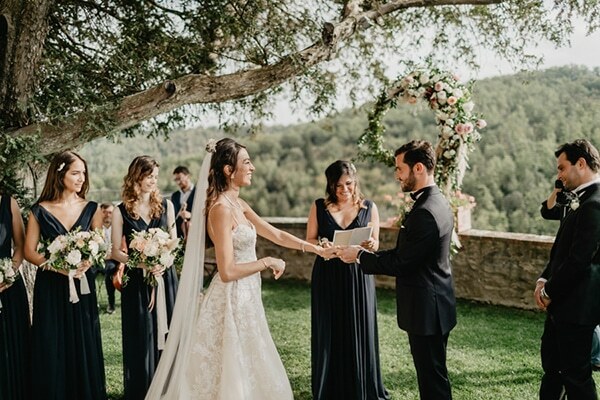 The lovely couple chose to exchange their vows in a wonderful location celebrating their love with a glamorous and fairy-tale wedding! 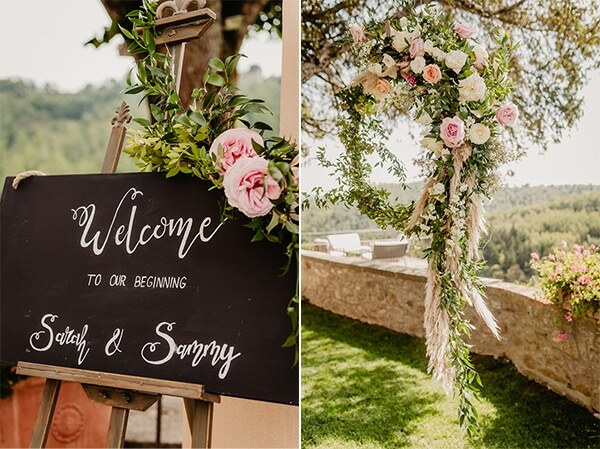 We loved the decoration which was amazing and gave a romantic atmosphere in the reception area. 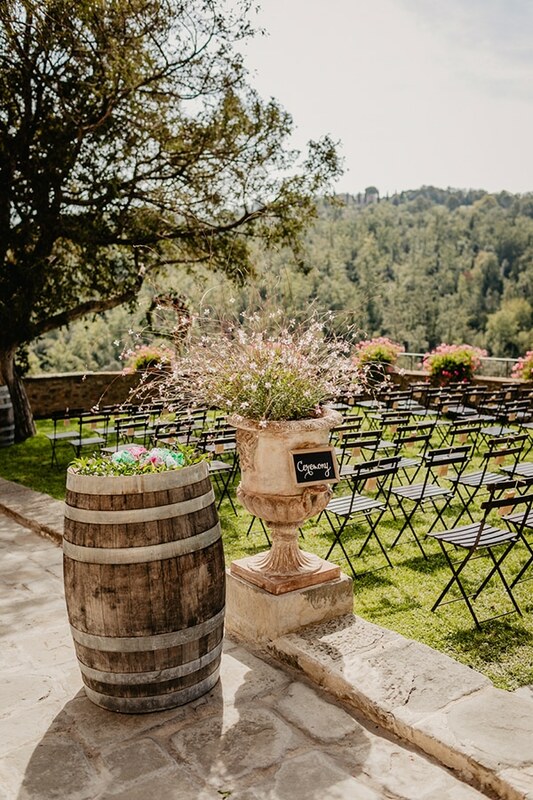 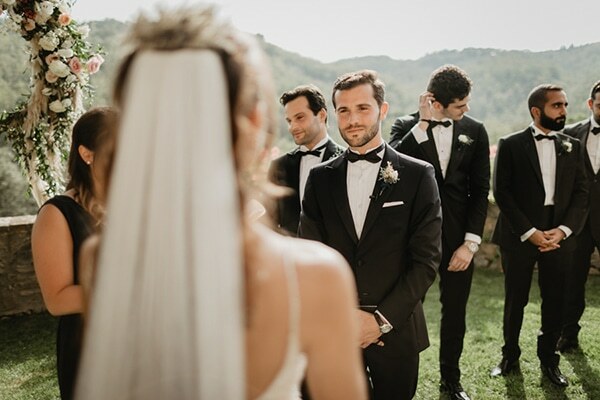 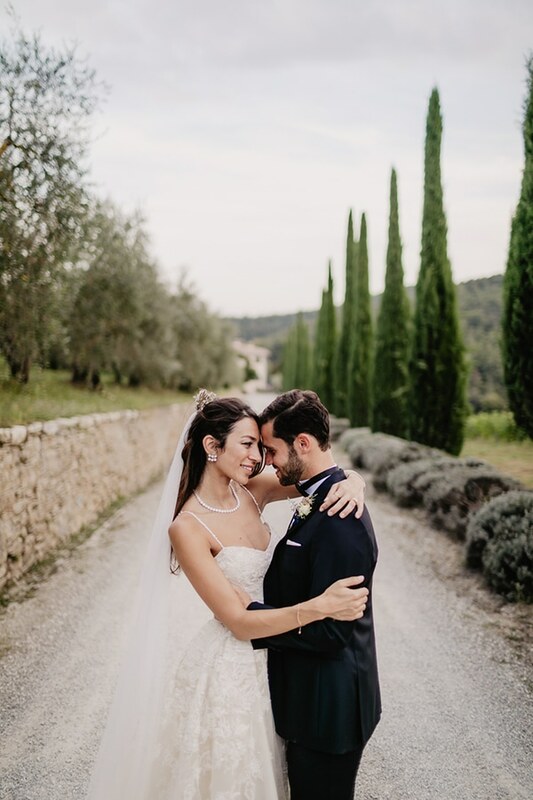 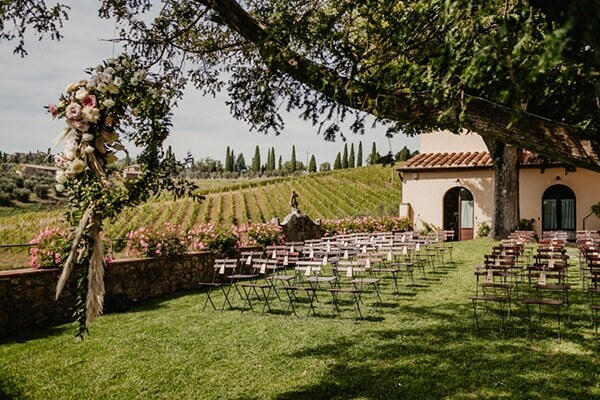 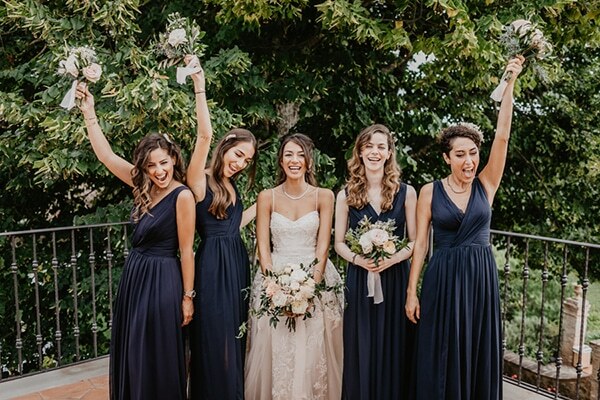 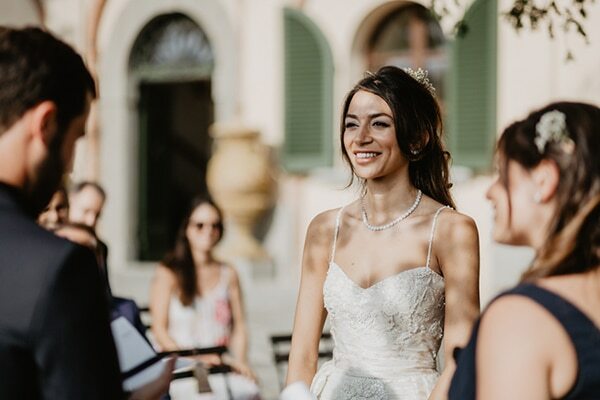 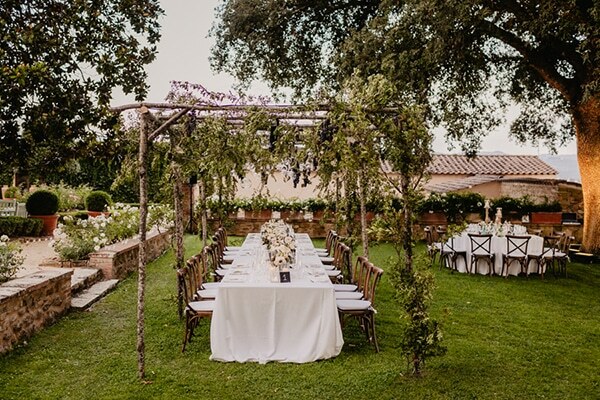 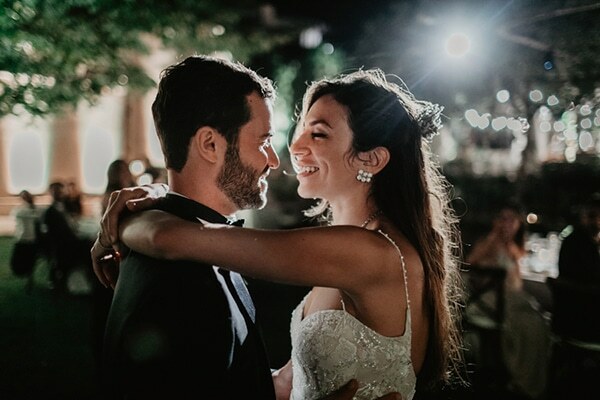 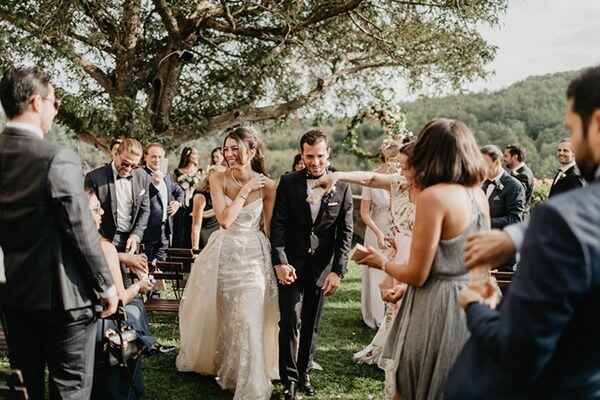 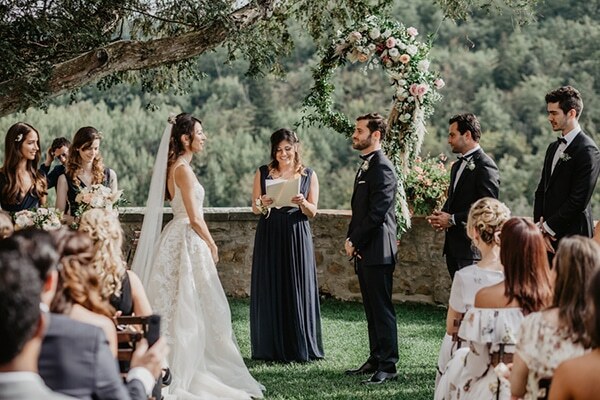 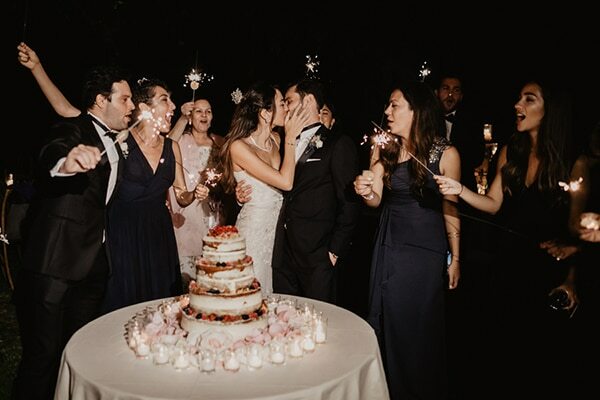 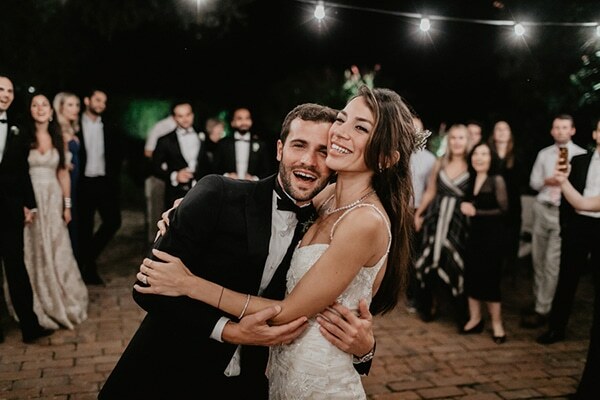 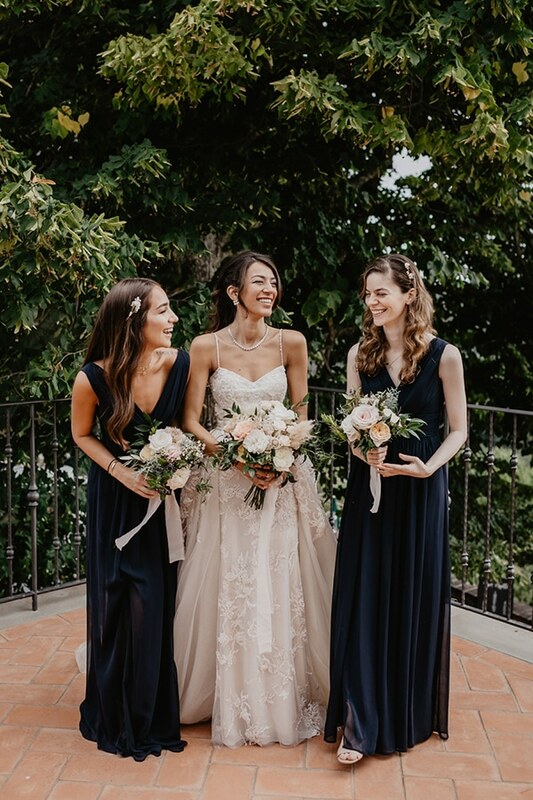 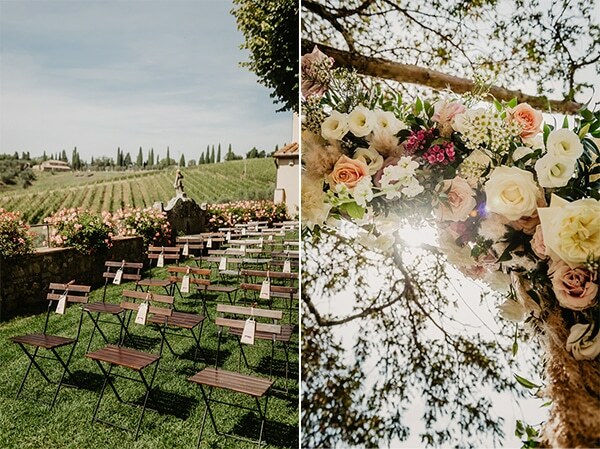 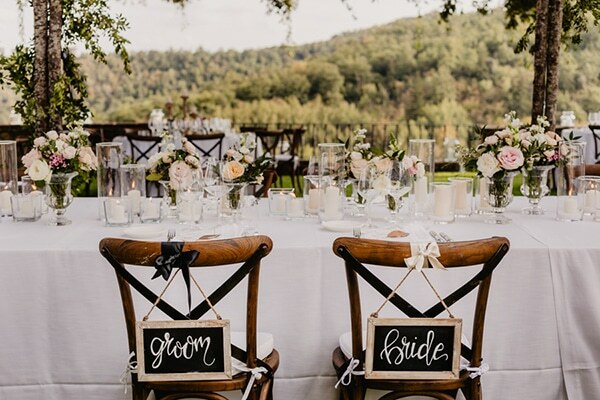 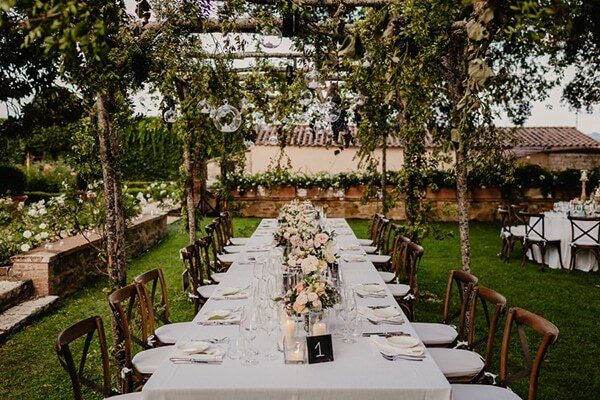 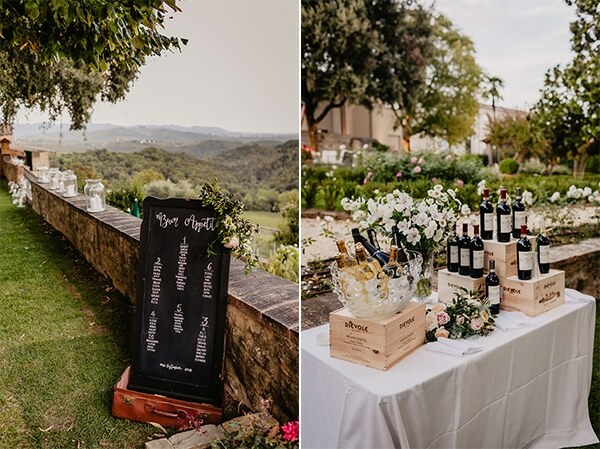 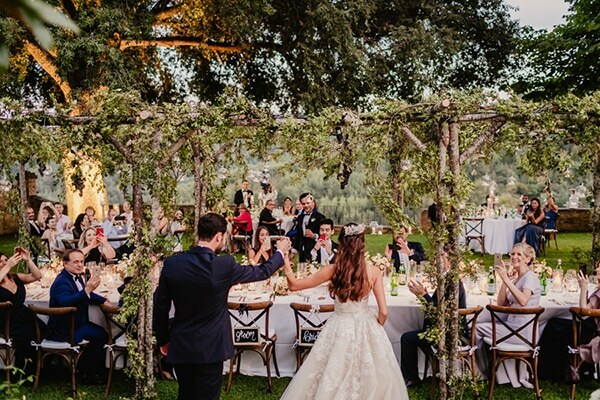 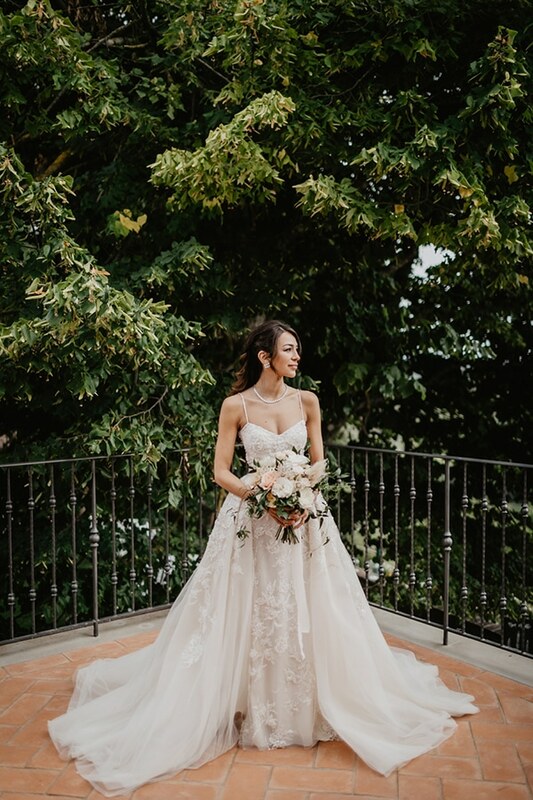 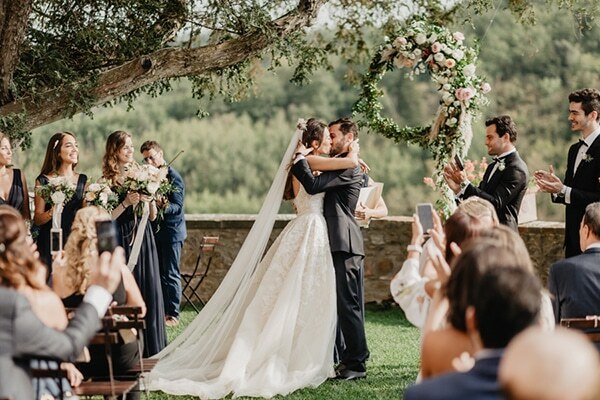 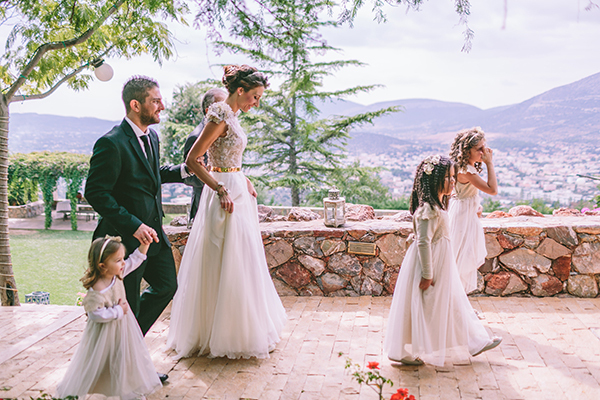 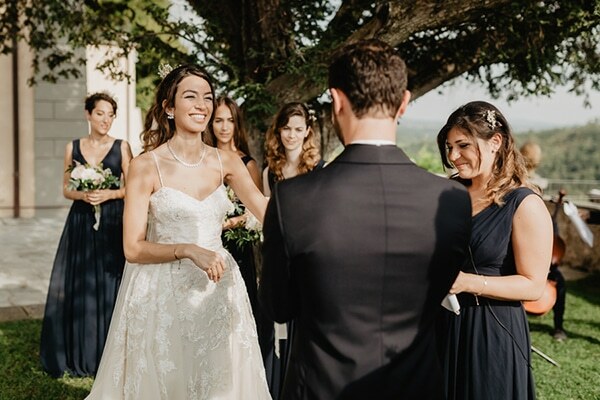 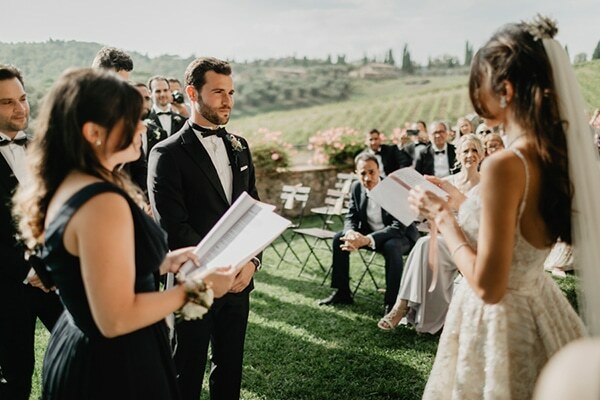 The ceremony took place in a beautiful villa, full of greenery with the backdrop of the natural beauty of the Tuscan hills and vineyards. 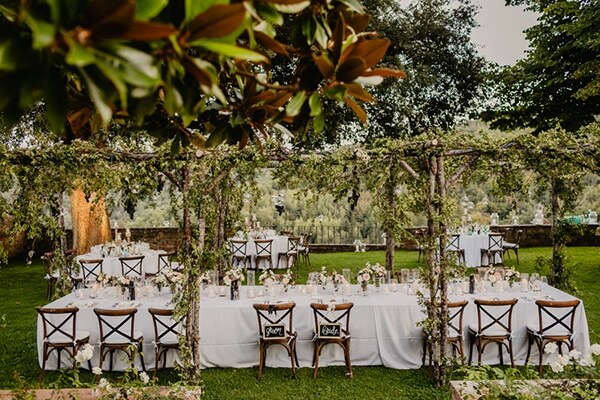 The stunning pergola made by trunks, greenery, suspended candles bowls and grapes convert the reception area to a real paradise! 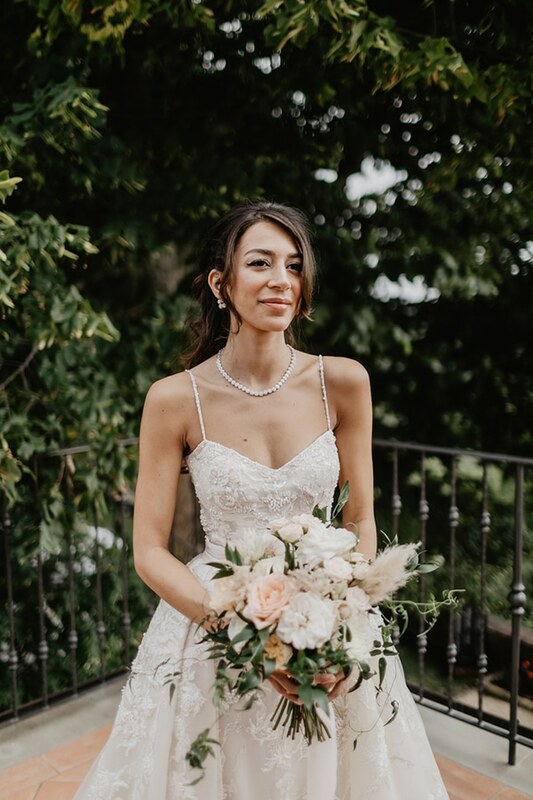 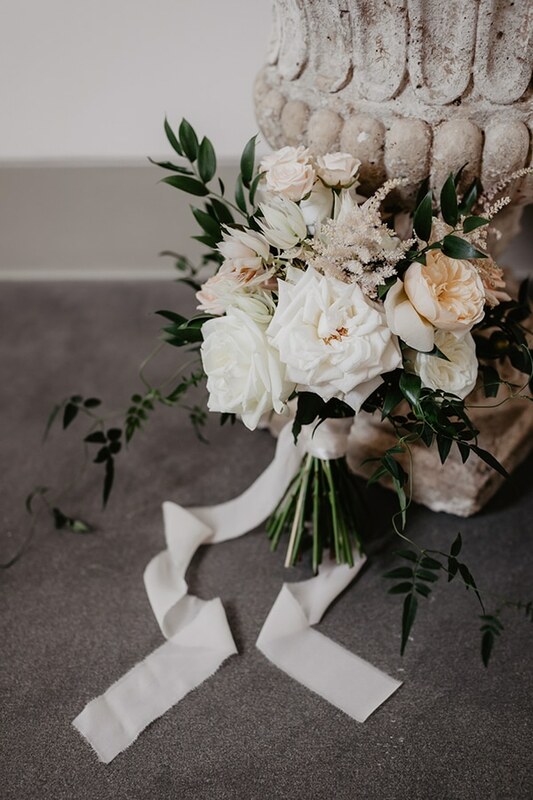 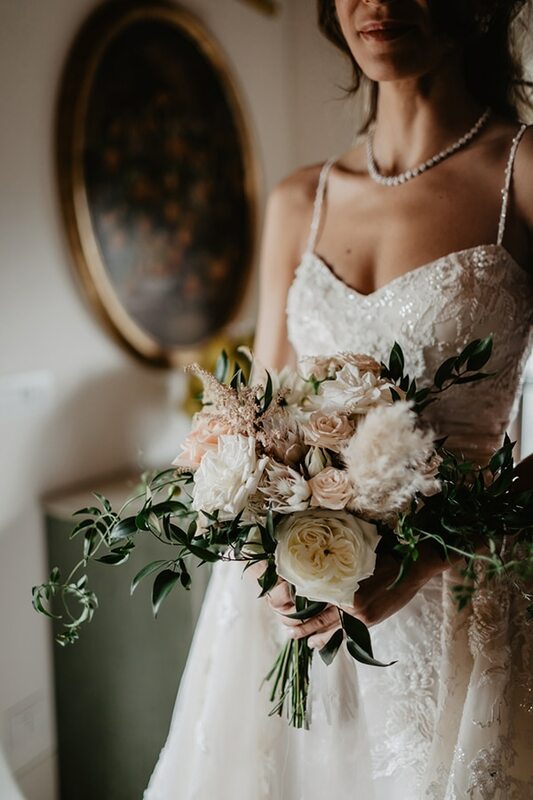 The bride was beautiful in her princess wedding dress with lace details, holding her lovely bridal bouquet in pal peach, ivory and white hues. 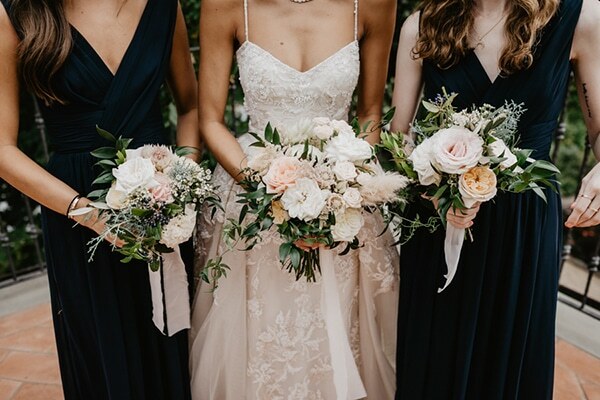 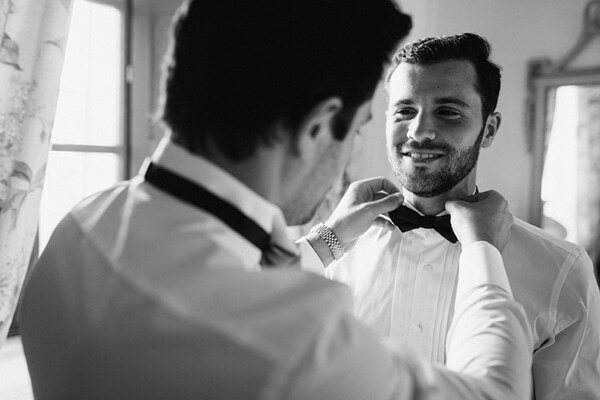 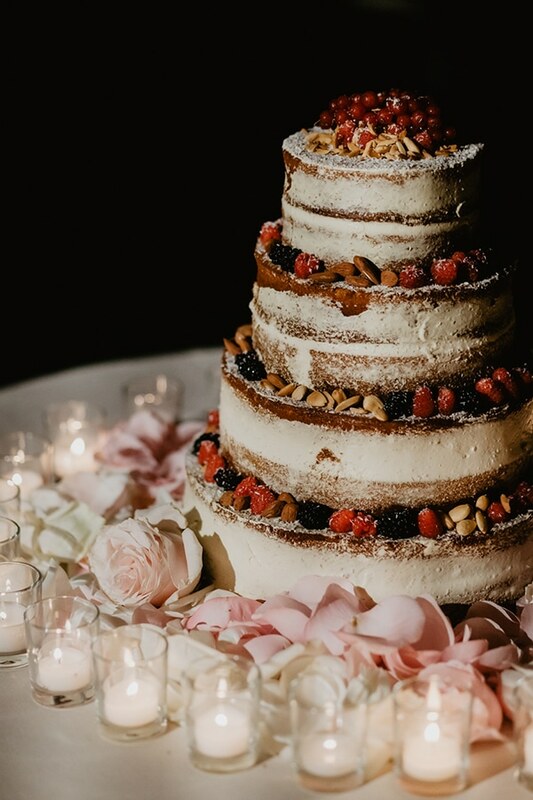 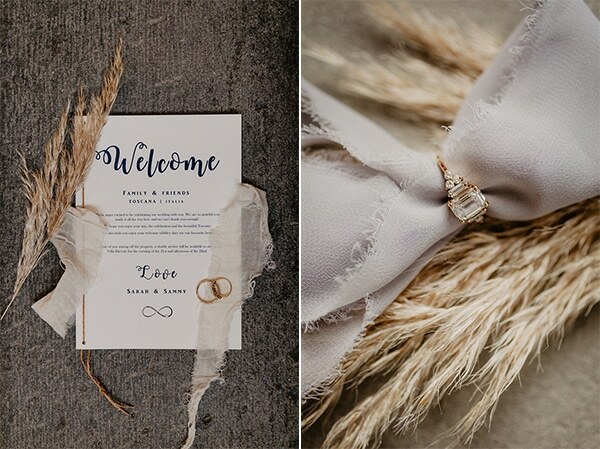 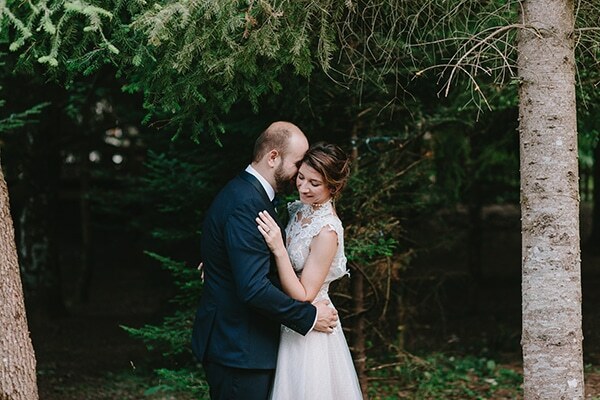 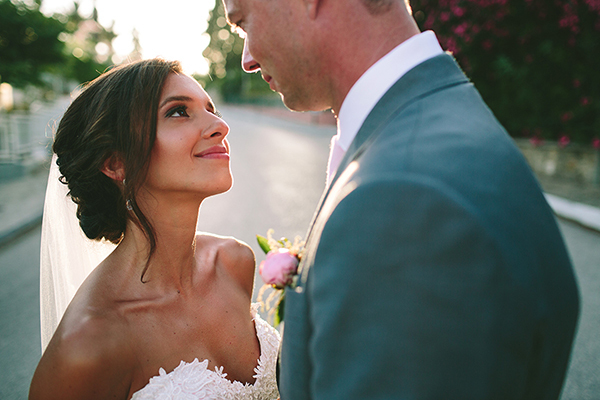 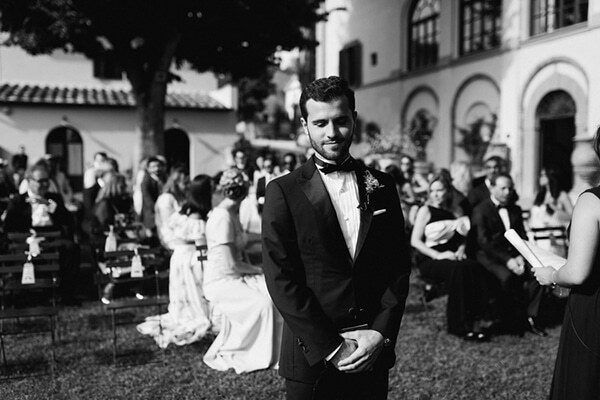 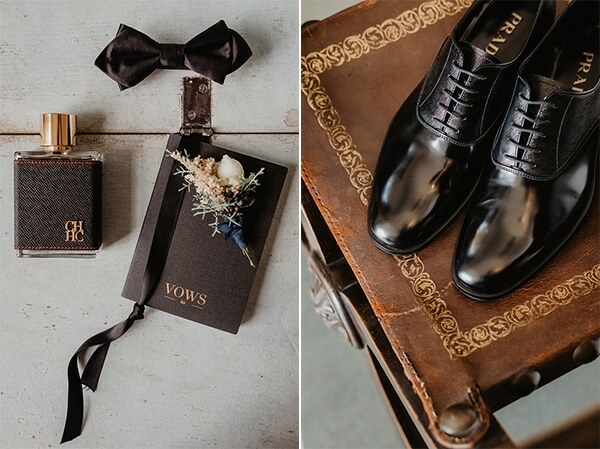 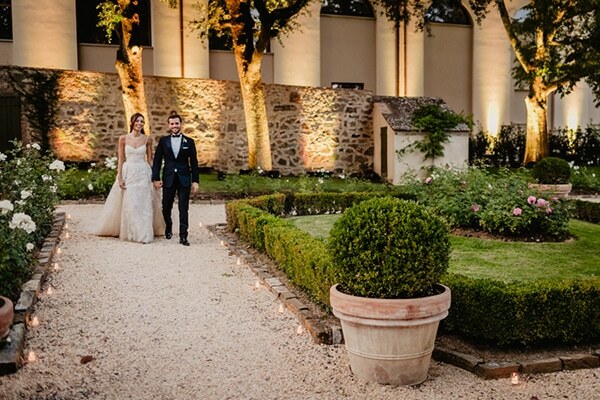 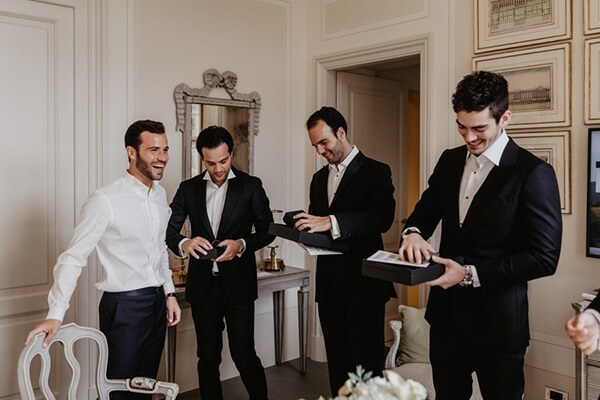 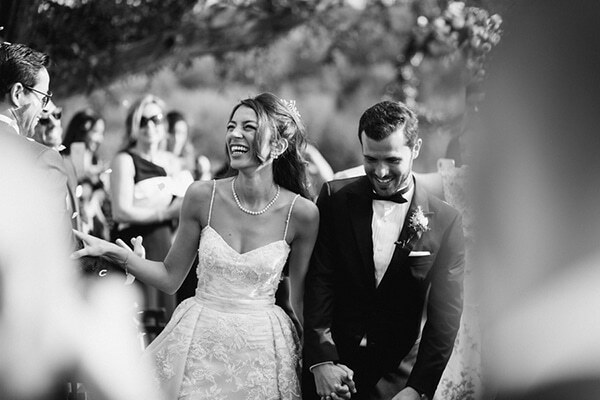 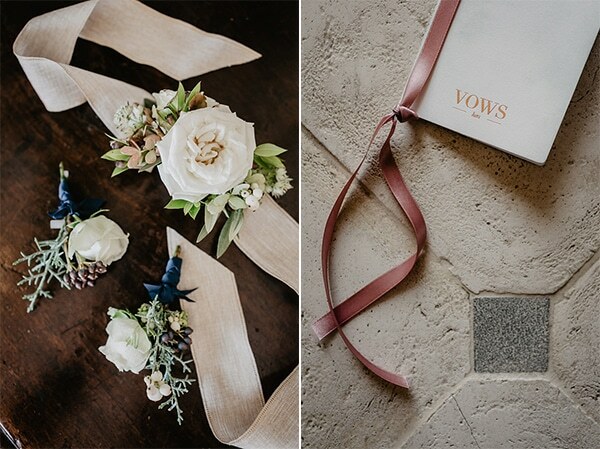 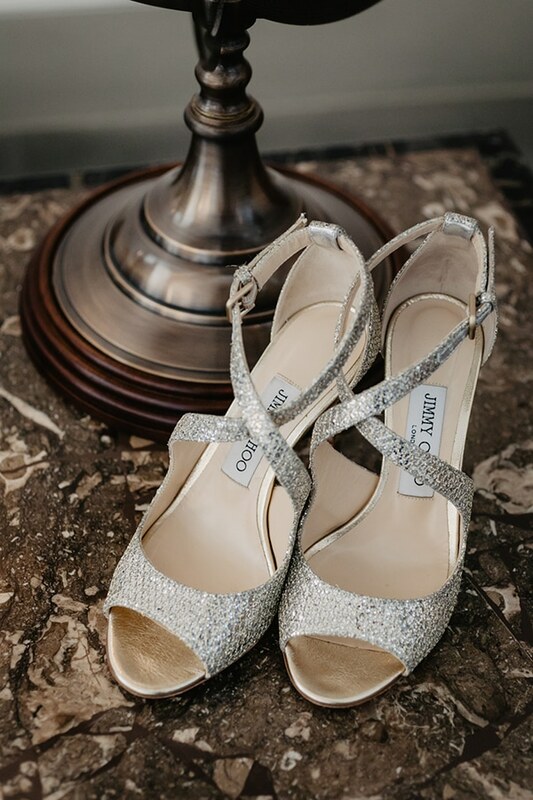 Check out the following photos and feel completely transported to this beautiful wedding!